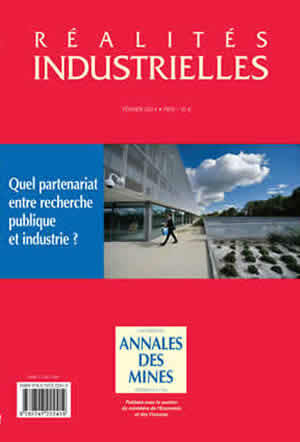 Réalités Industrielles -February 2014 - Which partnershipfor public research and industry? February 2014 - Which partnershipfor public research and industry? Is partnership research soluble in public research policies? Which public policies will boost innovation and economic growth? How will public policies for research partnerships evolve?